How do you read Jennifer Harrison? Some critics have emphasized the performative in her work and the adoption of masks to, at once, inveigle and distance the reader. Others highlight questions of travel, positioning Harrison as lyric psychogeographer. Contrary to poet and theorist Aimé Césaire’s claim that “poetic knowledge is born in the silence of scientific knowledge”, Harrison, in an interview with Paul Hetherington, describes her poetic as an attempt to bridge the “two cultures”: “Trying to find a common discourse between medicine (the body) and poetry (the lyric) is perhaps the major theme in my poems—trying to reconcile these two sides of my life. Because the discourses are so separate, I’m interested in how they interact with, and repel, each other.” This is quite a challenge: not only magnetic resonance imaging but also the Hiroshima bomb is applied science. Nonetheless, as with her earlier collections, in Harrison’s Anywhy the reader will find combinatory matter of varying valencies and densities, keeping on the poet’s dialogue with the nature of knowledge. By Harrison’s light, generosity of spirit is nothing, and, if she is never quite prepared to spill her guts, her poetry offers the reader other consolations. How to represent the mind’s indwelling? 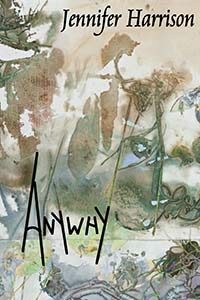 Two of the poems in Anywhy take up this challenge from radically differing angles. ‘DeoxyriboNucleic Acid’, a list poem of endless possibility, attempts to capture emergent knowledge about the human genome, one of the scientific wonders of the age, in metaphor. The result is a poem of genuine currency: “old stories unheard those yet to be learned/ a corkscrew infinity infin ity ity y/ a code twisting untwisting along its protein wall/ the future coiled like a hair in a drawer”. ‘Fowler’s Phrenology Bust’ plays on the mind in an entirely different register. As with some of Harrison’s other decisions about form, it is not apparent to me why this poem is divided into sections, and the use of Roman numerals in poetry always strikes me as a little faux Latinist. However, in ironically addressing this onetime pseudo-scientific tool, the poem captures aspects of the mind’s associative logics in contemplating, first, the china bust, then, the other objects arranged beside it on the mantle: “Some part of the brain could be called to breast/ ahead – a bust needs its breast, needs telling/ off from time to time, needs a porcelain/ companion to pitch what’s on its mind”. The poem asks why we decorate our lives with certain objects, observing that, somewhat like reading a poem, it is in converse with these objects that we figure out what we think about things. As elsewhere in the collection, in this ekphrastic poem of sorts, it strikes me that, while often inventively imagistic, Harrison’s default position is self-questioning abstraction, and this abstract aspect of her poetic is one of its great strengths. 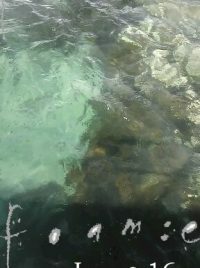 ‘Cnidarian’ is another sidewise love poem. The poem opens, metonymically, with the figure of an elderly widow in care. Broken hearts and melting ice-shelfs bring to light novel creatures that have newly moved into our ken. Harrison never overreaches to assume agape—in her poetry, love is fundamentally familial, co-dependency a value: “love itself/ like coral is tenanted, occupied:/ a trophy without pedestal, a vase/ within the old mind where sorrow shelters/ which we protect from harm with our lives”. Perhaps this is the soundest base from which to build a more comprehensive response to the ecological agonies of our time. Sitting with the mind and the pictures it generates has been a governing preoccupation of Harrison’s work. If the questions ‘what do you know’ and ‘what have you got to be afraid of’ trouble you, read on with Harrison here and, like those stuck in transit in her poem ‘Grand Final’, mayn’t we “trust the wind will carry us/ forward, somewhere new/ somewhere we didn’t realise we wanted to go”. aiming to pin down the grind and pay your share. behind the jade screen still makes you smile. Surely, dearest, you must be cold in there. to stay put and haruspicate yourself. perches overhead in the turning maple tree. you only make the same mistake once more. and restore some normal feeling to the skin. so get riled up sunshine then settle down. Tell me your story then tell me again. the little brother who is in big trouble. you want to leave them be to grieve but can’t. and gives its sensible form to a perhaps.